Apples of Gold Jewelry is known for its beautiful, designer Christian jewelry, including this high-polished designer cross pendant. The pendant is designed in a 14K white gold that is highly polished to add a little extra sheen and shine to an already beautiful cross pendant, and the glossy look of the pendant helps it stand out. The pendant looks wonderful when paired with a new, separately purchased chain or a chain that you already have at home, and measures 19mm in width and 41mm in length. 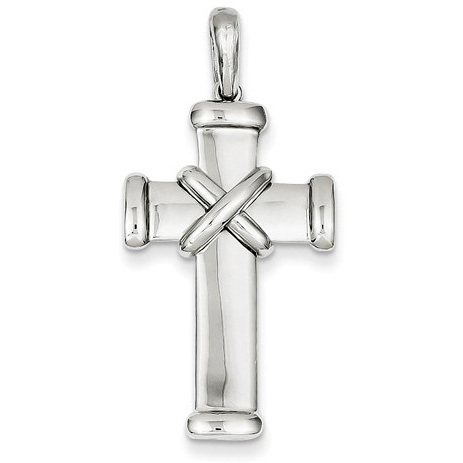 We guarantee our High-Polished Designer Cross Pendant in 14K White Gold to be high quality, authentic jewelry, as described above.